Lana Gonzalez is a wife and stay at home mom to three, but don’t count that as the extent of who she is. 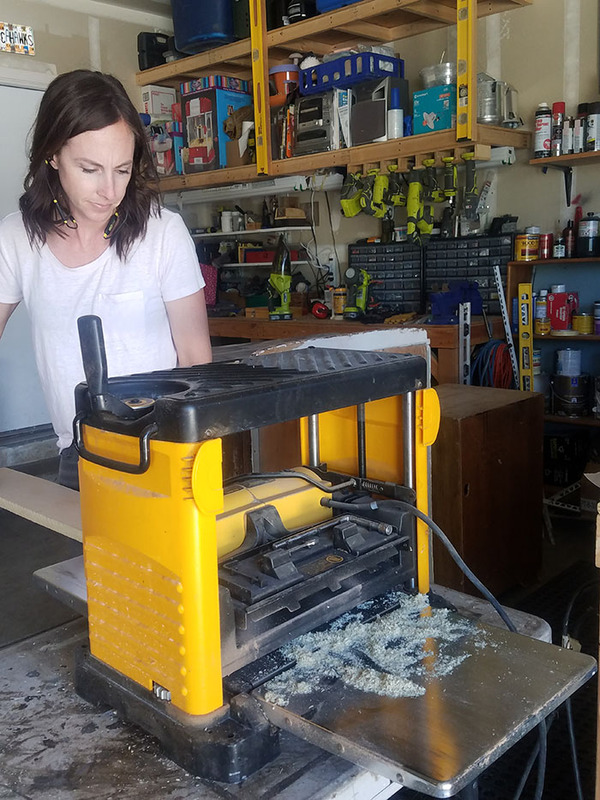 You can find her a few days a week getting covered in sawdust from either making some sort of home decor item, or building a piece of furniture for herself or friends. 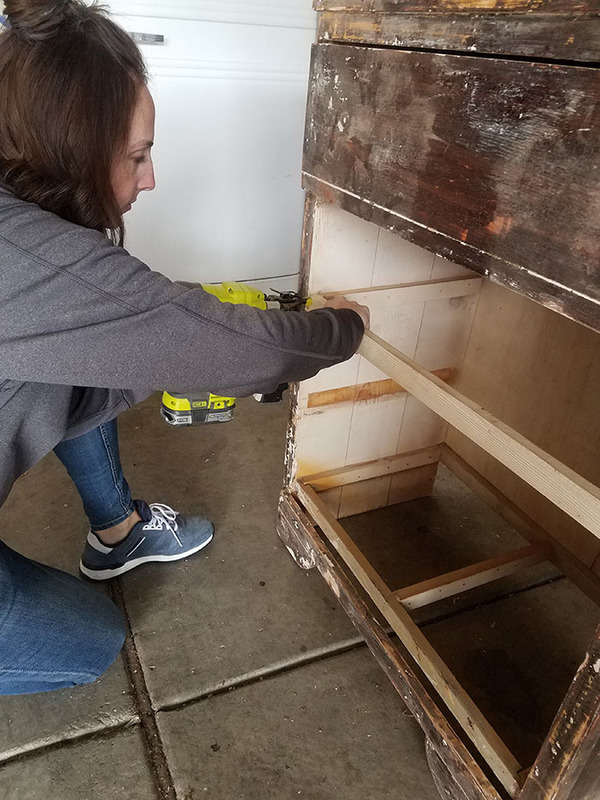 “I really enjoy refinishing pieces I find at thrift stores, or turning them into something fun and or or entirely different purpose (like dresser turned wine rack),” she says. 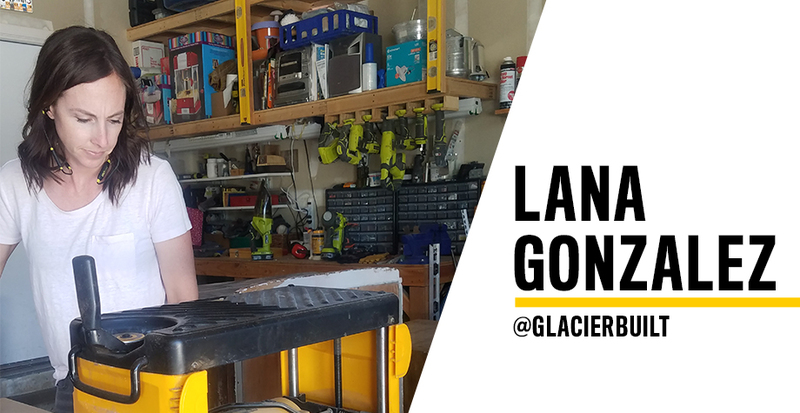 Owner of the Instagram account @glacierbuilt and glacierbuilt.com, Lana also is a co-founder of the IG Builder’s Challenge. The IG Builder’s Challenge (IGBC), which kicked off its sixth season on October 6th, welcomes builders around the country to build a planned item and submit their creations through Instagram throughout the month of October. While the IGBC started out as a friendly competition amongst fellow woodworkers, it has snowballed into a national contest with a growing digital presence. 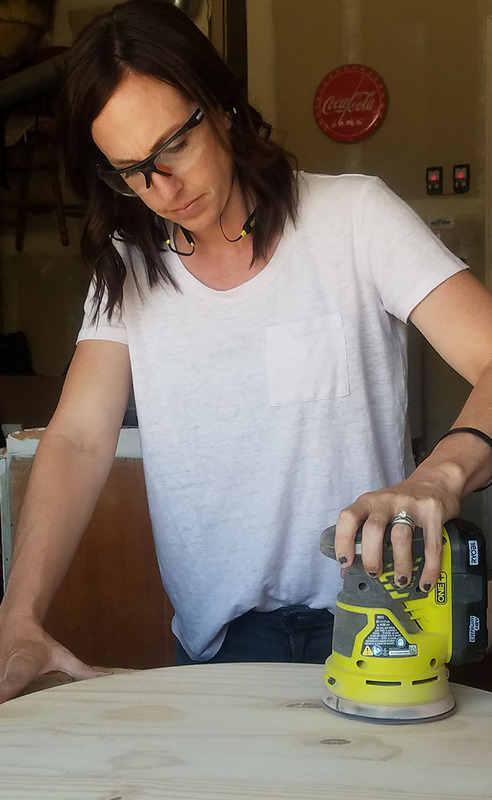 To champion that innovative spirit and all the DIYers involved, we want to amplify the challenge and give back at the same time. The IG Builder’s Challenge involves one wood based product build plan and 3 weeks to build it. Each season they invite a builder to create a plan for participants to use and modify into their own creation. For more information, to register for the IGBC, or download the plans to participate in the IGBC, register here. The IG Builder’s Challenge has grown every year, and we wanted to sit down with Lana to learn more about her, her projects, and a behind-the-scenes look at what it’s like to be considered a DIY influencer. How did you start with the IGBC? Raechal contacted me to join in on this idea of one plan being built many different ways for the very first challenge and I have been here ever since ! It’s so fun working as a team member with sponsors and supporting our followers as they build in our challenges. 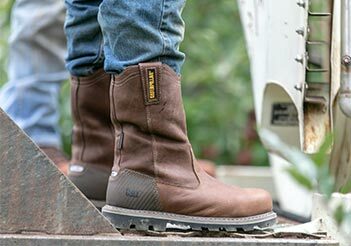 When did you discover your love for wood working? How long have you been doing it? My love for woodworking started when I figured out I could make things for a lot less than if I were to buy them. Fortunately, I had a good sense of using tools because my dad was and is very handy. I grew up seeing him do all sorts of things from building a deck to remodeling our home, all by himself. Hammering nails into a piece of scrap wood was a regular childhood activity for me! I’ve been building things for our home for about 4 years, and doing furniture revamps even longer than that. What is the best part about being a part of the DIY community online and in real life? The best part of the online DIY community is the support shown to each other. It’s encouraging and motivating to see other people doing things and then having them turn around and cheer you on when you give it a try. In real life, being a DIYer brings a sense of satisfaction because people admire the work. I have had people buy things right off my walls before because they loved it so much. And it’s easy enough for me to make another! Another side hustle I have is making and selling home decor. I paint growth charts and make signs- so a typical day for me is either doing a run down of my orders and compiling a lumber list, or making those items. I limit my work time around the family dynamic, so in reality I am “working” about 2 days a week because I don’t work much when my husband is home from work or when the kids are out of school. When my husband is home and the kids are in school, we enjoy working on our home remodeling together- I’ve added setting tile to my list of accomplishments. What’s your favorite thing about doing different projects? l love the making process. I do tend to procrastinate on projects until I have to just go for it otherwise I second guess my designs or techniques . I work great under pressure. If I had to pick one part of the process I like best it would be the finishing stage because that’s when the project really comes to life. It’s never fun to make mistakes, but they happen. As long as I’m learning I don’t mind the occasional bump in the road. I have to admit though- when people come over and admire my work, it is a pretty amazing feeling. Even more so when they want what I built for their own home! Go-to tip for anyone renovating on a budget or just starting out in building or DIY? Plan for something to change. Be flexible in your end result otherwise you will not be satisfied. Definitely compare prices on materials and don’t hesitate to ask someone for help. Sometimes the biggest hiccup is being afraid to mess up, but if you don’t try, you won’t accomplish anything at all. 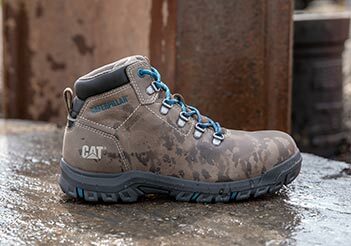 Do you have a favorite pair of Cat boots? 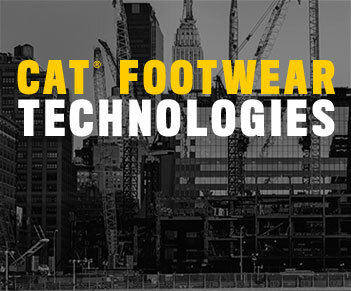 My favorite pair of Cat boots are actually the Woodward. 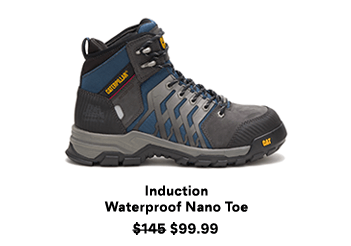 They are surprisingly light weight yet still full of protection like the heavier boot styles . On top of it all they are very comfortable! !